Marvel’s Avengers: Infinity War is set to arrive in theaters April 27, 2018, but that hasn’t prevented the studio from released marketing material well before it hits theaters. 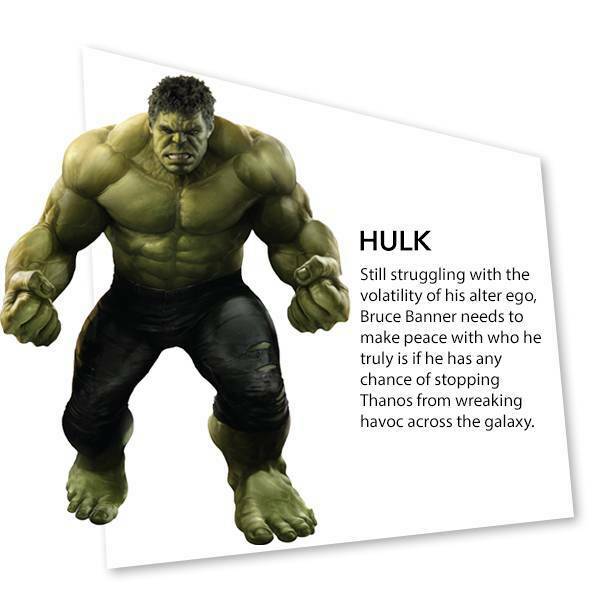 Below check out character bios for Captain America, Thor, Hulk, Black Widow, Spider-Man and Thanos that sheds some light on what’s going on with the characters before the start of the next film. There’s nothing groundbreaking discovered in the character descriptions above, but here’s a couple of items to note. 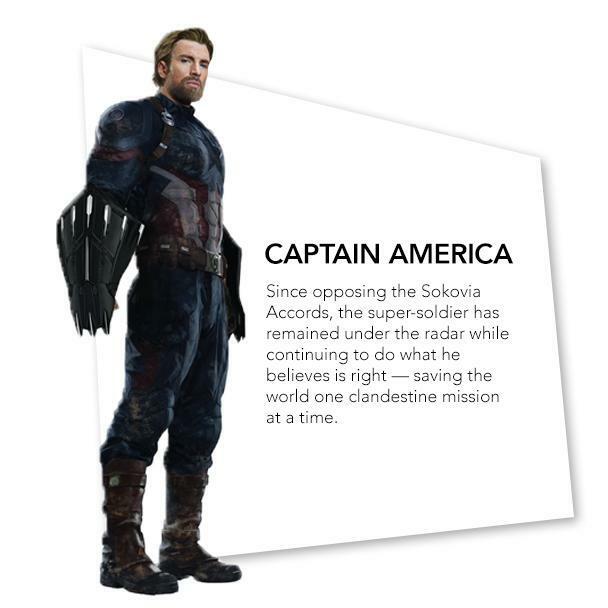 First, as the Infinity War prelude comics have already mentioned, Captain America will still be very active despite being a fugitive and no longer an Avenger at the conclusion of Civil War. The comics displayed him forming a team similar to the “Secret Avengers” in the mainline comics, as a means of taking down global threats. His beard and Black Widow’s blonde hair may be a means of trying to stay under the radar in this type of role. 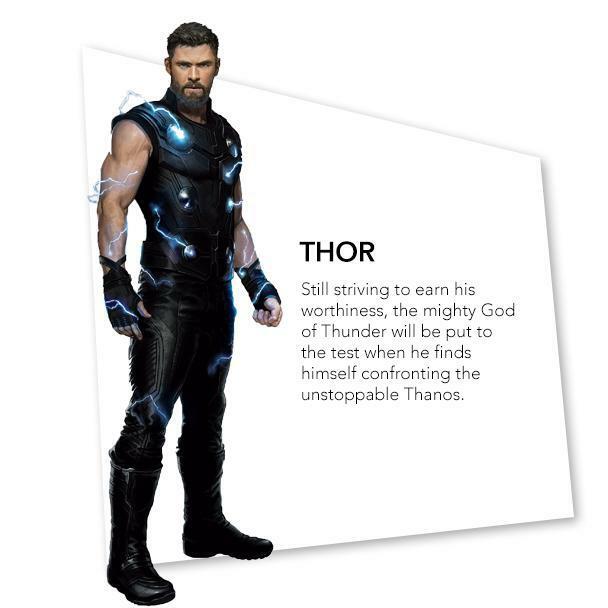 There’s not much to take from the Thor and Hulk descriptions and they basically just tell us where the characters are following Thor: Ragnarok. Many have speculated that Bruce Banner may be the one controlling the Hulkbuster Iron Man armor in the Infinity War trailer, which could be in line with what happened in Ragnarok and the description here. If Banner is scared of not being able to change back from his Hulk counterpart, he may be trying to find an alternative means of making himself useful in the battle. Does the phrase “Banner needs to make peace with who he is if he has any chance of stopping Thanos” imply that he’ll be forced to change into the Hulk in order to fight Thanos even though he knows it might be the last time he’ll be Banner again? It was a sacrifice he was willing to make in Ragnarok to save the Asgardians, so it wouldn’t be shocking if he made the same decision here. Spider-Man is my favorite character from the comics, bar none, and while I liked Homecoming there were certain things that didn’t feel quite like the webslinger from the comics. He’s always been a loner, so his complete reliance on Tony’s tech from the start of his crime-fighting career was different. The biggest squabble I had was that he didn’t have his trademark spider-sense that warns him of danger. There were many instances in that movie that having his spider-sense would have prevented things from happening (him getting grabbed out of the sky by the vulture when he was chasing the car with the stolen alien tech, Spidey being blindsided by Shocker leaving the dance, etc.). 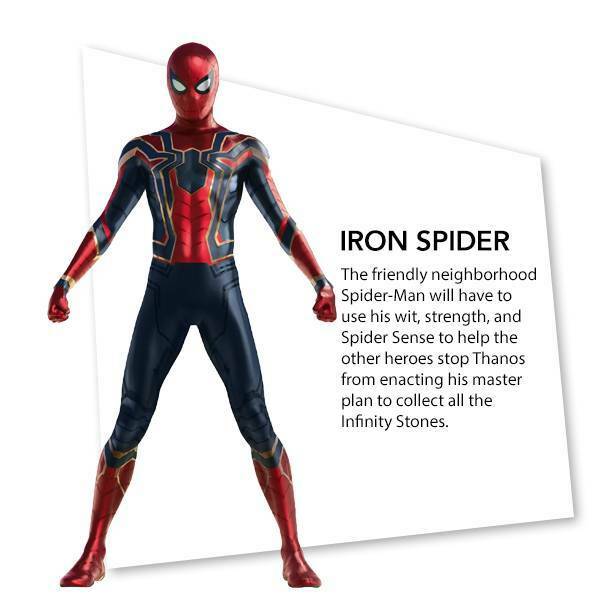 Luckily the Infinity War trailer and this description indicate the Sony/Marvel collaborative iteration of Spider-Man will indeed have his spider-sense moving forward. 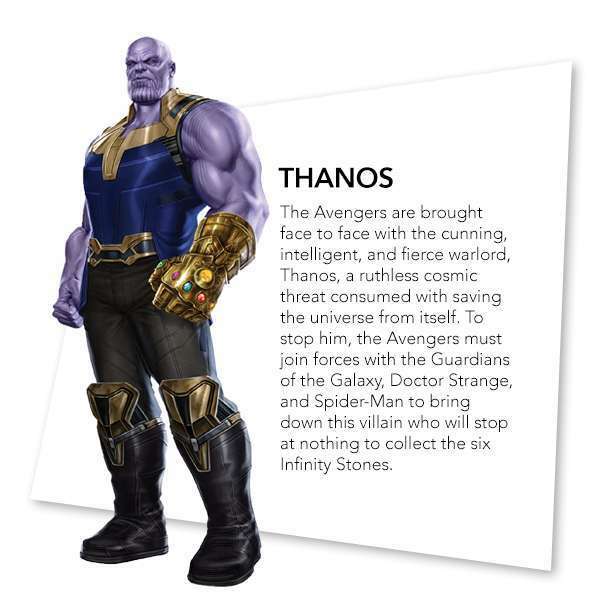 What do you think about the character bios for the upcoming Infinity War film? Marvel is clearly positioning this movie to be the biggest in their history by making it the culmination of everything before it. 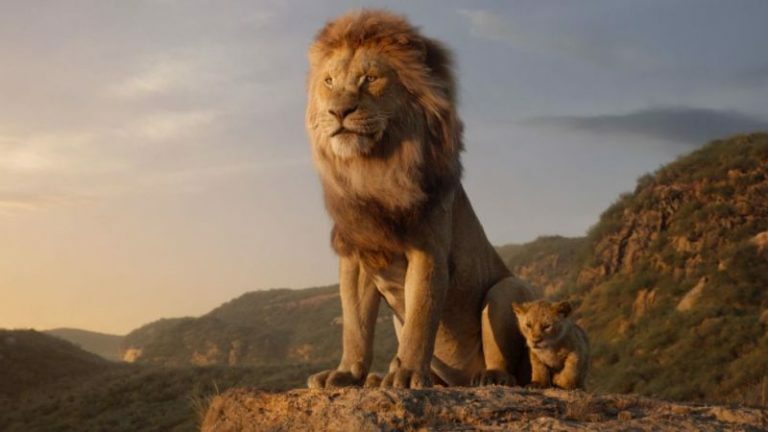 I’m interested to know if the regular movie-going audience is anticipating this movie more than films such as the first Avengers movie or the hype that surrounded Black Panther? 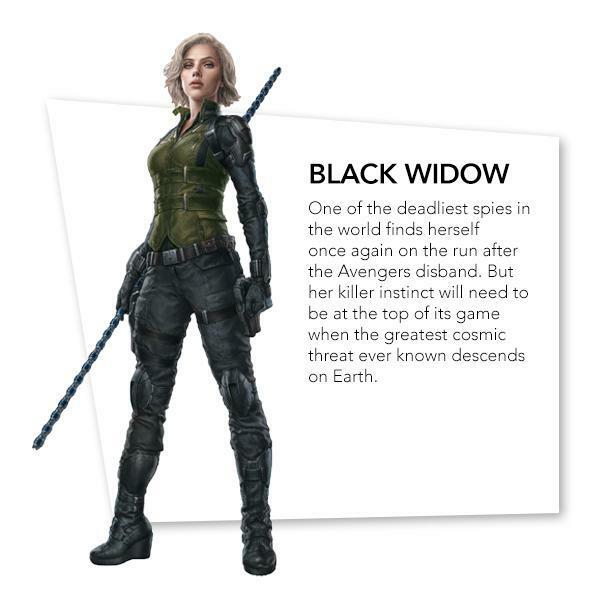 Stay tuned because I wouldn’t be surprised to see many more of these bios emerge between now and the film’s April 27 release date (take note, Marvel moved the date up a week).